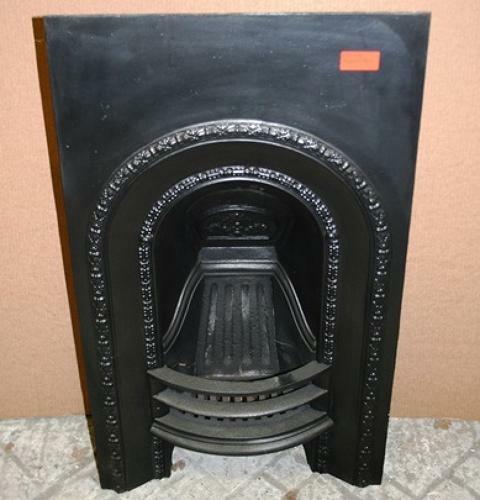 A pretty, restored fireplace insert with decorative arches and smoke flap, that would suit a bedroom or similar sized room. The left join inside the fire is damaged, so the fire is for decorative use only. Cavity depth 200mm, height 640mm, width 300mm.